Listen to "Mathematics is Power" on your iOS and Android device. 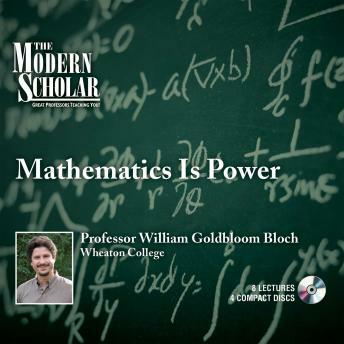 William Goldbloom Bloch is a respected professor of mathematics at Wheaton College. This intriguing lecture series, Mathematics Is Power, delves into both the history of mathematics and its impact on people’s everyday lives from a non-mathematician’s perspective. Bloch first examines the history of mathematics and age-old questions pertaining to logic, truth, and paradoxes. Moving on to a discussion of how mathematics impacts the modern world, Bloch also explores abstract permutations such as game theory, cryptography, and voting theory.